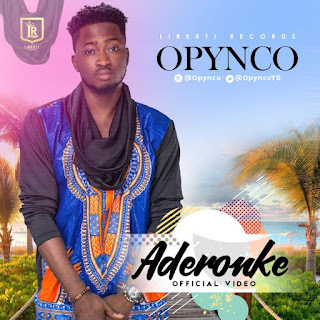 Liberti Records signee Adegbemiga Onaolapo Samson a.k.a OPYNCO is here with the visuals to his blazing single ‘Aderonke’ produced by Pheelz. Opynco, a graduate of Ladoke Akintola University of Technology, Ogbomosho, Oyo State, Nigeria was born and bred in Ibadan, Oyo State. He recently relocated to Lagos in pursuit of his music career. He is an Afro Pop artiste but can easily switches genres.